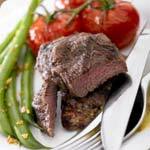 Cholesterol Lowering Diet Plan - What To Cook? You must also learn how cooking foods low in cholesterol using proper techniques can bring out their natural flavors; this will help you stick to your cholesterol lowering diet plan so you achieve maximum results. Cholesterol free foods are high in protein and fiber but low in saturated fat. This means a cholesterol lowering diet plan should contain a variety of fish, poultry, fruits and vegetables. Whole grains, oats and nuts are also essential. Start your cholesterol lowering diet plan by cooking lean meats, fish and poultry. Instead of frying with oil choose baking and broiling. Marinate your meats in white or red wine mixed with herbs place in the oven or broiler. The food will be moist and flavorful with very little saturated fat and cholesterol. Toast almonds and pine nuts to add texture to your rice and pasta dishes. Place them in a small saucepan over medium heat and allow roasting slowly. Because nuts have natural oils, they will brown nicely and release a nutty aroma that will linger for hours. Cook stews and soups filled with beans or lentils. Legumes are rich in fiber and cholesterol free. You can make a lot of different types and freeze for convenience. Stir fry your vegetables in a wok using a teaspoon of extra virgin olive oil. Add fresh herbs for more depth. Vegetables that are stir fried are more likely to retain their crunchy texture; they are also less likely to become overcooked, which can kill the vitamins and minerals. There you have it, a few good tips to help you create new dishes that are low in cholesterol and high in fiber and protein. Following these steps can help you remain loyal to your cholesterol lowering diet so your body can begin to repair any damage caused by high cholesterol levels. You can get more tips on how to lower your cholesterol by reading other articles on cholesterol free foods!